Constructed from solid brass, the VIGO Paloma Single Hole Bathroom Faucet combines graceful beauty with modern design. 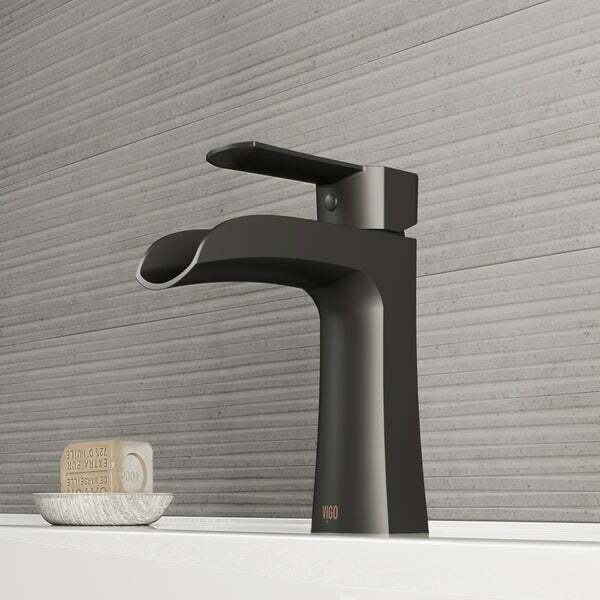 The single-handle faucet features elegant curves and a unique trough spout which creates a relaxing cascading effect when the faucet is in use. A leak-resistant Sedal ceramic cartridge adds to the faucet's durability, guaranteeing it will remain a beloved fixture in your bathroom. Dimensions 5.5 In. X 2.0 In. X 6.75 In. Amazing quality! Looks great in our modern farmhouse styled bathroom!